Order in the next 11 hours 27 minutes and your package will ship on Monday, May 6. Modern in appeal, this wedding ring is crafted in 14k white gold. 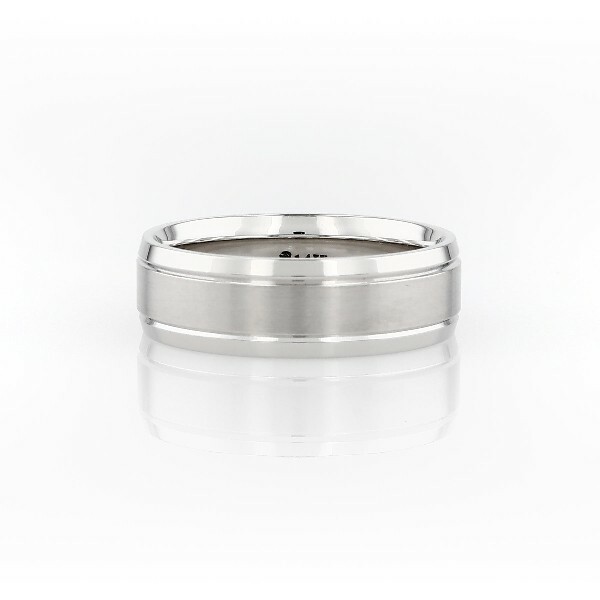 The brushed finish is in contrast to the polished inlays of this wedding band.